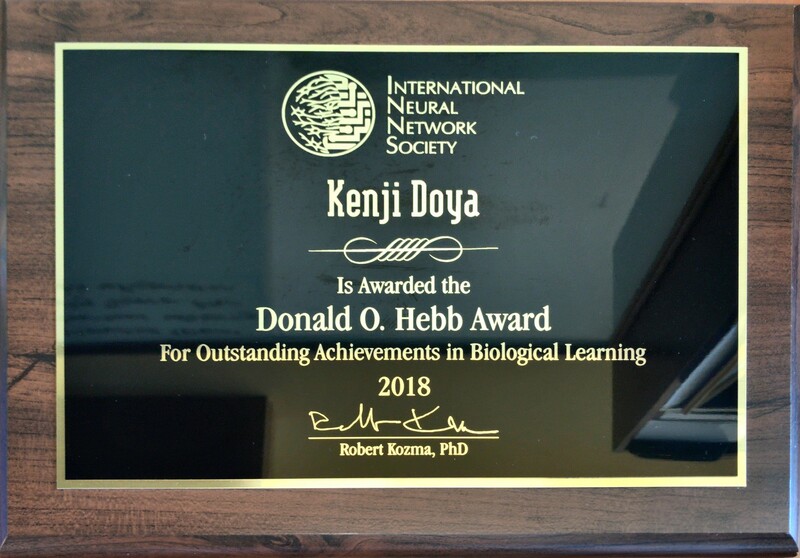 OIST Professor Kenji Doya received the Donald O. Hebb Award from the International Neural Network Society (INNS) for his lifetime contribution to the field of neural networks. 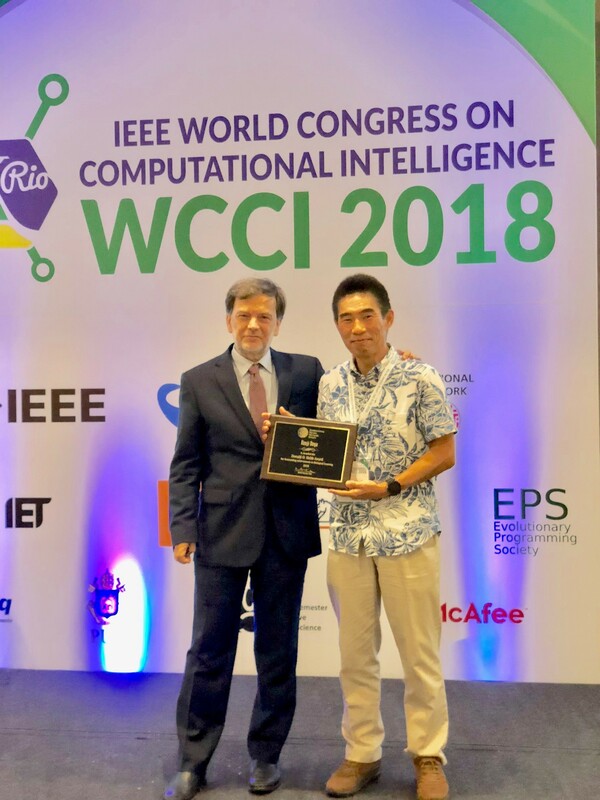 The Donald O. Hebb Award recognizes “outstanding achievements in biological learning.” This year’s award was presented to Prof. Doya at the World Congress on Computational Intelligence (WCCI) 2018 in Rio de Janeiro last month. Prof. Doya is the leader of OIST’s Neural Computation Unit, and has conducted research on everything from the role of striatal neurons in reinforcement learning, serotonin promoting waiting for rewards, to dynamic Bayesian inference in the cerebral cortex. A graduate of the University of Tokyo, he has conducted research that has taken him from UC San Diego, the Salk Institute, and the Advanced Telecommunications Research Institute International. His work bridges the worlds of artificial intelligence and neurobiology, looking at problems in one field to inform discoveries in the other. Prof Doya also wished to thank his colleague as co-editor-in-chief of Neural Networks journal, Prof. DeLiang Wang of Ohio State University, who recommended him for the award. As a winner of the award, Prof. Doya joins some esteemed company, such as unsupervised feature learning pioneer Prof. Christoph von der Malsburg; Prof. Bernard Widrow, who pioneered supervised error-gradient learning; and Prof. Andrew G. Barto, who broke new ground in the field of reinforcement learning. The INNS is widely recognized as the leading organization covering theoretical neuroscience and computational intelligence, with members from all over the world.